I’ve long admired author Emily Jenkins, illustrator Sophie Blackall and publisher Schwartz & Wade. So, I fully expected to admire their collaboration on the recently released picture book A FINE DESSERT. But, wow. Even though I know that a whole can be greater than the sum of its parts, this book is amazingly, wonderfully, life-alteringly good. It succeeds on every level. 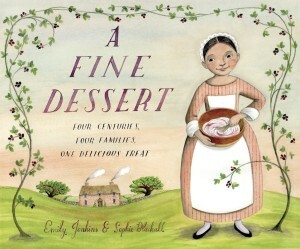 The book tells how four families make the same dessert — blackberry fool — in 1710, 1810, 1910 and 2010. Their methods of gathering ingredients, assembling the dessert and serving it change, but their enjoyment is consistent. So is Jenkins’ storytelling. She uses the same structure to tell each family’s tale of whipping cream, crushing berries and chilling the dessert until it’s ready to eat. Beat beat. Beat beat. Beat beat. Her arm began to ache. Fifteen minutes later, she stopped. Two minutes later: whipped cream. 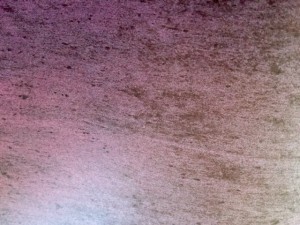 It reminded the boy of shaving foam. Jenkins also chose her families carefully. The family in 1810 is a slave family on a plantation. The family in 2010 makes dessert for a multicultural neighborhood gathering. Girls and their mothers make the dessert the first three-hundred years until a boy and his father take over in 2010. The meal served before the dessert varies greatly, and in a nice little touch, each family serves the dessert in different-colored bowls. I am not an artist, so I can’t comment on techniques or methods Blackall uses, but I can say the art is gorgeous and reflects an admirable attention to detail and accuracy. Each family’s dress, house, kitchen and cooking utensils are true to their time. There are close-ups of a whisk made of twigs, a whisk made by a blacksmith, some hand-operated rotary beaters and an electric mixer. And, perhaps my favorite detail, the artwork for the endpapers uses juice from blackberries that Blackall squashed through a sieve. I cannot say enough about the research Jenkins and Blackall did to make these families true to their time. It’s impressive. And Jenkins and Blackall each have a note at the end of the book discussing what they learned and how they chose to apply that knowledge. If you’ve ever wanted a behind-the-scenes peek to see how a master author and illustrator approach craft, you have to get this book for these notes alone. 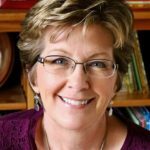 Anyone who thinks writing or illustrating a picture book can be done in a few hours with a little effort will think differently after reading this. Despite my focus on the creators’ research and the book’s historical accuracy, this is not a dry book. It’s a work of fiction with warmth, a sense of connection from family to family and a lot of love. It celebrates the joy of cooking together and eating together, both of which transcend time. And, at the end, there’s a recipe so readers can make their own blackberry fool and keep the tradition going. While I normally think all desserts must include chocolate, I’m going to give this a try. The writing, the art, the research and the heart all add up to a book that I just want to hug. And have everyone I know read again. Which is, after all, a very fine thing. 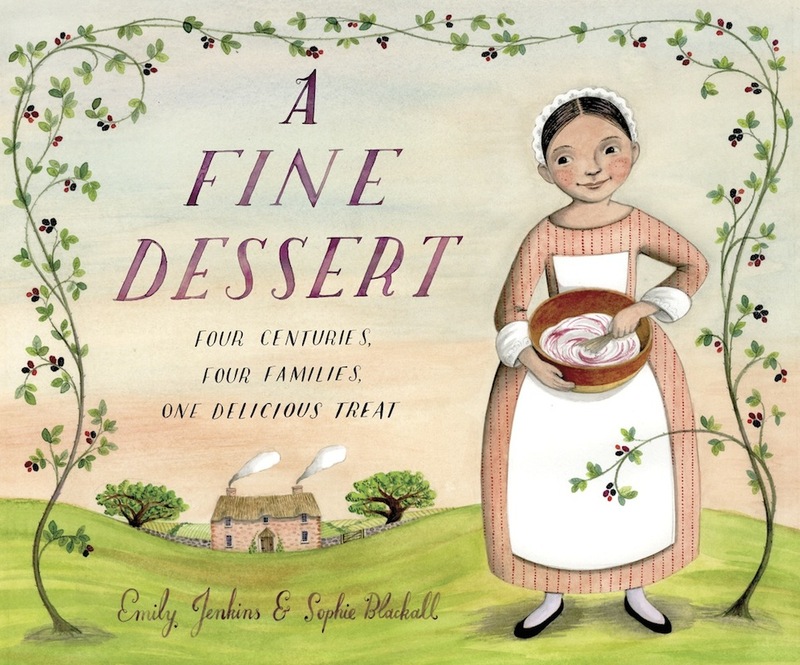 A Fine Dessert, Emily Jenkins, Food, Pat Zietlow Miller, Schwartz & Wade, Sophie Blackall. Bookmark. Thank you. I’m going to check this one out. I love the sound of it. What a great way to show history. Ooh, this sounds delicious on so many levels. Can’t wait to get my hands on this, Pat. “Tis so true, Pat! I also love this book for the very reasons you’ve detailed!! Both the author’s and illustrator’s notes brought me to tears too–it has heart, charm, hints of humor and the overall structure is just so satisfying! Thanks for sharing your thoughts! What a great organizing principle for a picture book–making a particular recipe over the generations. So rich with possibilities (and tasty too!). I can’t wait to see this book! I’ve enjoyed following Sophie Blackall’s research for it on her blog. 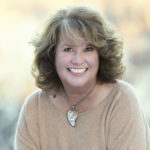 It certainly takes a ton of research to both illustrate and write non-fiction— Thank you, Pat! Thank you for detailing all the fine things that went into making this gorgeous picture book. Can’t wait to check it out! This one looks absolutely lovely – and brilliant! Just requested it from the library, but I’m guessing that, once I give it a peek, I’ll be taking a trip to the bookstore! Thanks! This sounds fabulous on many levels, Pat. Thank you for highlighting it for us. Can’t wait to get my hands on it. As s family historian and budding genealogist I cannot tell you on how many levels this book spoke to me when reading it ! This looks amazing! I’m a big fan of Sophie, and she’s just that type of illustrator to go above and beyond — making a tint out of blackberry juice! This sounds like a wonderful book. I love history. And, with blackberries in it, it has to be good.